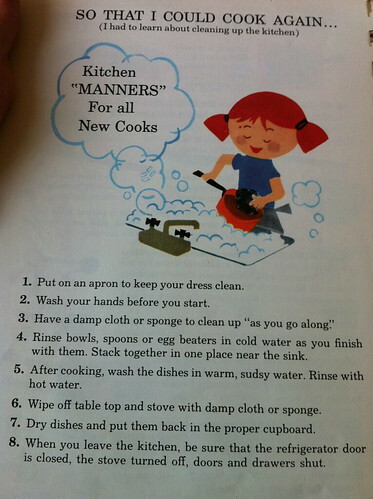 kitchen manners for all new cooks, a photo by unglaubliche caitlin on Flickr. found this in a vintage children's cookbook of lexy's. i think i need to hang it in our kitchen.